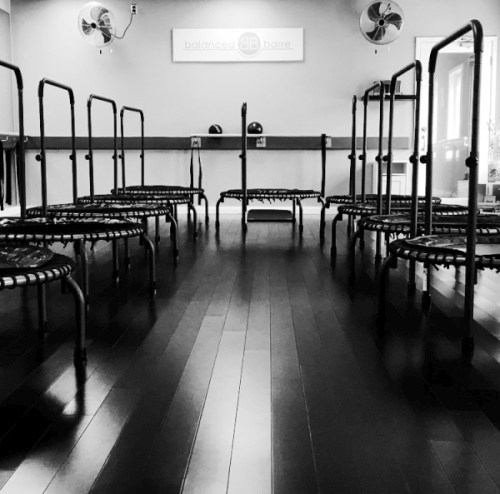 barre rebounce – Balanced Barre & Pilates. Put simply – bouncing on a mini trampoline. However, unlike a regular trampoline (think back to when you were a kid), the aim isn’t to bounce high. You want bounce down, meaning your feet should barley leave the rebounder & your movements should be very controlled.